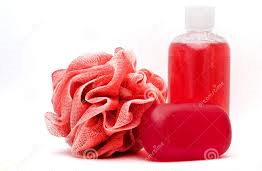 How Do I Know My Shower Gel/Bar Soap/Body Wash Works For Me? Life itself is an evolution so it’s not news that everything is changing with time and trend. The way we know beauty and cosmetics now is way over the top, if you ask me, than what it was before. I would like to know one person, after all recent brands, trends and changes, who have remained faithful to a particular brand. We all do it for different reasons – my skin isn’t fair enough, my skin isn’t smooth enough, my makeup isn’t flawless enough, my hair isn’t healthy enough, my knuckles have become darker than the rest of my body, etc. So we try all sorts of things in the bid to get that perfect flawless beauty. One thing I have learnt though is if you want to get the best out of anything you are doing/using, consistency gives the desired result. Only after you tried something over say 6 months, for instance, can you say it works or didn’t work for me. Hmm – it almost felt I was teaching myself something I denying. Anyway, so while it may be good to stay consistent and religious for desired result, what I want to know is – how do you tell that a bathing soap or shower gel is doing what is written on the pack that it’s supposed to do? After all, it’s not very often we all get the luxury of soaking ourselves in the bath with our favorite oils and bath gels so how do we can get maximum from our papaya bar, goat milk, dudu osu, moisturizing gel, rejuvenating bar and antibacterial bars in less than 5 minutes of bath? It’s a question that’s always lingered in my mind so, please any suggestions out there? I know my papaya soap is working when my skin feels smoother and my complexion glows. The effectiveness is further confirmed when i start getting compliments. Hmm. Question answered but how do you use it – how often and in what consistency – before you get your desired result?